Most rock shows follow a similar formula: lights grow dim, the crowd rumbles in anticipation and the band bursts out, hyping the crowd and preparing them for the night they're spending together. The beginning of Dashboard Confessional's show Saturday night did not exactly follow this. 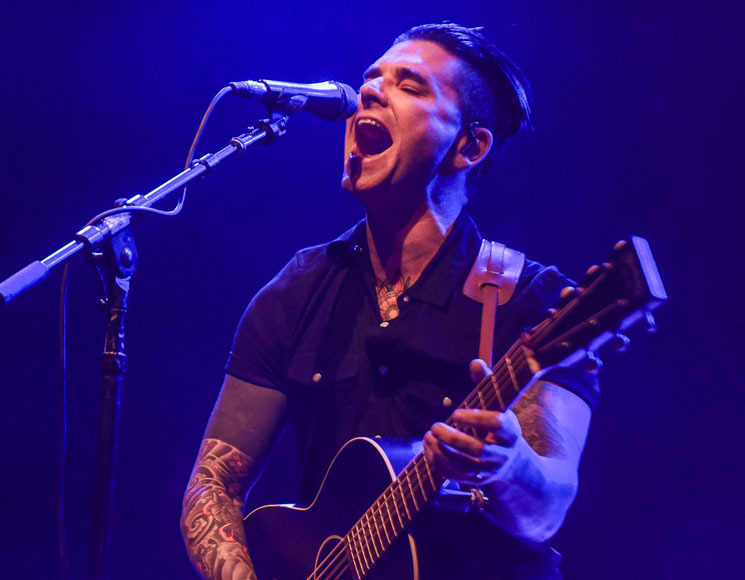 The lights grew dim, the crowd rumbled in anticipation, and Chris Carrabba walked alone with just an acoustic guitar. His opening song was an acoustic performance of "Best Deceptions," and while this opener didn't exactly instil that hype, changing the formula proved Dashboard's confidence in the relationship they have with their fans. It also set the tone for the entire night — this show wasn't about touring a new record (although they are) or drawing in new listeners, it was a reunion between Dashboard Confessional and their fans. After "Best Deceptions" spotlighted an audience singing just as loudly as Carrabba, the full band emerged for "Don't Wait," which felt like a proper start to the show. "You guys don't age," Carrabba said between songs — a nod to the fact that we were all seeing each other again after a long time apart. Also ageless is Carrabba's voice; he sounded exactly the same, singing songs he wrote nearly 15 years ago. He just didn't fit the rock star bill, maybe because of his age, but more because Dashboard's songs have always been about more than drinking beer and sleeping with girls; they weren't there to party, they were there to connect. The most notable performances of the night were unsurprisingly older songs. New album, Crooked Shadows, is only a month old, but it was classics like "Vindicated" that everyone came to see. "Vindicated" had probably the largest audience response, as 20-something girls held onto their friends screaming: "I am seeing in me now the things you swore you saw yourself." While the show could have easily gone on for another 30 minutes, and Carrabba could have shared the spotlight a little more with his fellow bandmates, Dashboard's fans were undoubtedly happy to have them back. This reunion was long overdue. Dashboard Confessional Team Up with All Time Low for "The Summer Ever After Tour"